With upscale planned communities in the NorthEast Valley like found in: Gainey Ranch, Grayhawk Desert Mountain, Downtown Scottsdale, Troon Village, Pinnacle Peak, DC Ranch, McCormick Ranch, and McDowell Mountain Ranch, hiring an excellent Scottsdale property management company for your investment home is essential. KRK Realty and Management manages investment properties in a way that allows you to take advantage of the plethora of spas and golf courses that dot this community of 184 sq. miles. (Did you know that Scottsdale has more spas per capita than any other city in the US)? 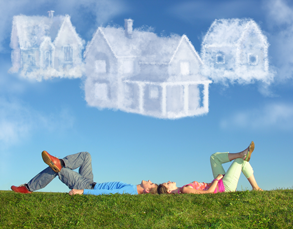 You can relax with the assurance that your property manager is taking care of your investment so you can focus on other things. Managing upscale homes for rent in Scottsdale, the 5th largest city in Arizona, takes a lot of work. 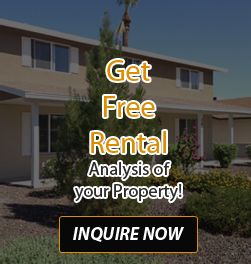 Our Scottsdale based property mangement firm provides many services for our renters and are available 24/7 for emergency maintenance via our online maintenance. We’ve found this to be beneficial to both our tenants and our owner investors. Your home is always taken care of. Experience – Kevin Kirkwood has been managing Scottsdale rental properties since 1998. Full Service/Worry-Free – We provide pool and lawn services built into the rent amounts. We believe owner investors shouldn’t have to worry if their tenants are maintaining their pool and yard. Also we have made it easy for a tenant to submit a maintenance request online and try to address their issues quickly. Tenant screening – We vet the actual tenants. We make certain that allowing someone to move into your home is a sound financial decision for you. Online Owner Statement- An easy way to keep your investment bookkeeping we provide online statements that are available at a click of a button. If you have an investment property and would like to speak with KRK Realty and Management, contact us today! 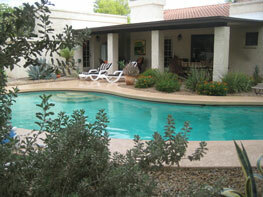 We provide top-notch Scottsdale property management services.